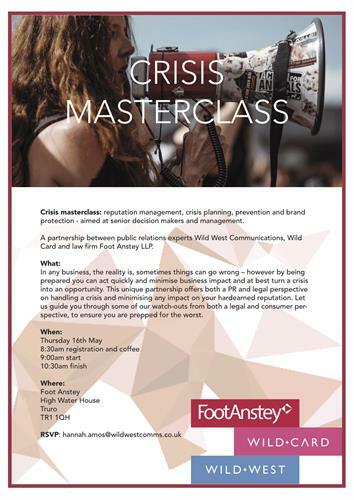 Crisis masterclass: reputation management, crisis planning, prevention and brand protection - aimed at senior decision makers and management. 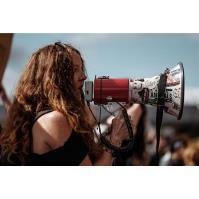 A partnership between public relations experts Wild West Communications, WildCard and law firm Foot Anstey LLP. In any business, the reality is, sometimes things can go wrong – however by being prepared you can act quickly and minimise business impact and at best turn a crisis into an opportunity. This unique partnership offers both a PR and legal perspective on handling a crisis and minimising any impact on your hardearned reputation. Let us guide you through some of our watch-outs from both a legal and consumer per-spective, to ensure you are prepped for the worst.